I haven't had a chance to read this story yet, so thanks for the giveaway, Roxanne. 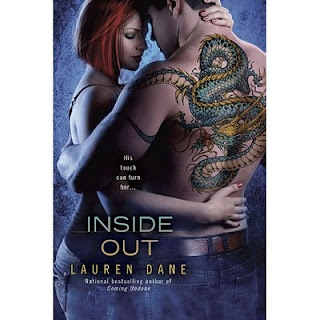 I enjoy Lauren Dane's works and am sure I'll love Inside Out; I look forward in reading it. I SSSSSOOOOOOOO want this book!!!! I've loved the previous books in the series and adore the characters. Plus, I love Lauren's writing and her heroes. And if it would increase my chances even further....It's my 40th birthday on Tuesday and this would make a great gift to me, plus it would lessen the grief of reaching that hideous milestone. +3 entries for Liking Bewitching Book Tours on Facebook--Jody F.
I just love this cover and would love to read it. While the story sounds fascinating, gotta love that tat! I ama always up for a great new read and he cover looks amazing! +2GFC follower - Sherry S.
I love Lauren's books and this sounds very good. Bewitching Book Tours - Sherry S.